Wondering what are some of the food that you can eat / drink while having your durian feast at the same time? Let's check them out below! 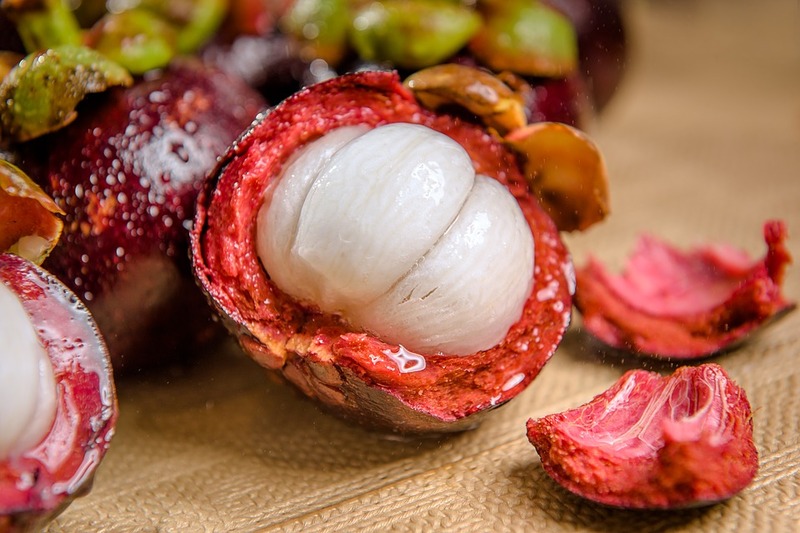 According to Traditional Chinese Medicine (TCM), Mangosteen is considered a 'cooling' fruit that will help to offset the heat in the body after consuming durian meat. Since then, durian was crowned as the King of Fruits while Mangosteen is the Queen of Fruits, as it complements well with each other. Drinking water from Durian Husk is known to be having more cooling effect to the body than directly drinking water from water bottle or cups! Moreover, it also help to get rid of the strong pungent smell under your fingernails when you wash your hand with the water! Be sure to save the husk for such uses! According to Traditional Chinese Medicine (TCM), Chrysanthemum & Honeysuckle Tea have 'cooling' properties that can help to get rid of the heat in body after consuming durian. Not only that, it can help to ease sore throat and headaches caused by internal heat in the body. It can help to lower blood pressure level too! Luo Han Guo（罗汉果）, also known as Monk Fruit, can be brewed as a drink and help to sooth cough and sore throats. Most importantly, it can help to reduce the heat in the lungs after feasting on too much durian!